The Children’s Touring Partnership and the Royal & Derngate, Northampton have just announced a new adaptation of Rudyard Kipling’s classic, “THE JUNGLE BOOK”. 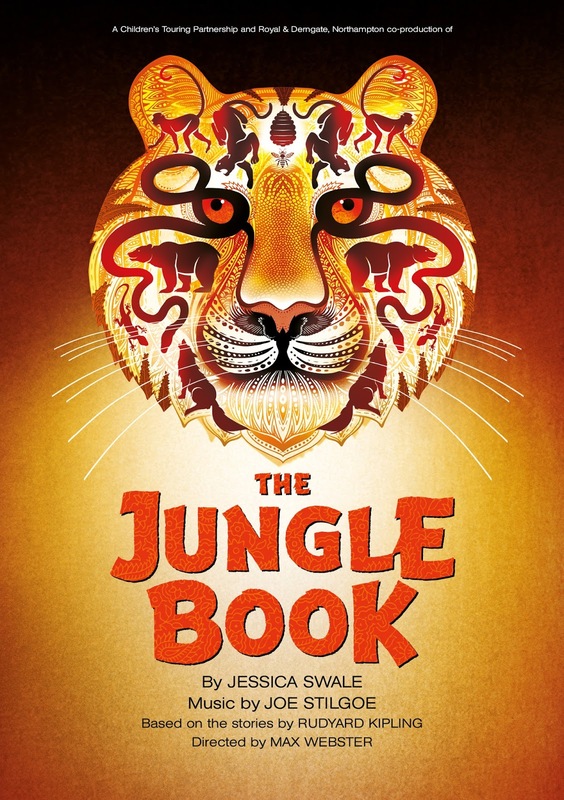 The Jungle Book runs at Royal & Derngate from 28 November to 31 December. The UK tour begins at Chichester Festival Theatre on 25 January and continues to Richmond, Liverpool, Wycombe, Bromley, Malvern, Cambridge, Newcastle, Plymouth, Norwich, Nottingham, Canterbury, Salford and Blackpool. Originally written in 1894, Kipling’s tale will be reworked with a brand new score and script, exploring themes of family, belonging and identity. “THE JUNGLE BOOK” tells of Mowgli the man cub who battles for survival in this heart-warming coming-of-age story about a boy raised by wolves in the jungle. With the help of his animal friends, including Bagheera the panther, Balloo the bear and Kaa the python, Mowgli outwits the cruel and powerful tiger, Shere Khan, and learns the law of the jungle. Cast includes Rachel Dawson as ‘Kaa Grey’, Lloyd Gorman as ‘Shere Khan’, TJ Holmes as ‘Hiran’, Avita Jay as ‘Raksha’, Keziah Joseph as ‘Mowgli’, Dyfrig Morris as ‘Balloo’, Deborah Oyelade as ‘Bagheera’ and Tripti Tripuraneni as ‘Akala’. They are joined by ensemble members Ruri James and Chipo Kureya. The award winning creative team bringing Kipling’s timeless story to the stage includes playwright Jessica Swale, director Max Webster and internationally renowned songwriter Joe Stilgoe.Playwright Jessica Swale will be adapting the story for the stage. Her previous acclaimed play “Nell Gwynn” won the Olivier Award for Best New Comedy in 2016.Max Webster directed Dr Seuss’ “The Lorax” at the Old Vic, which was nominated for Best Entertainment and Family Show at the 2016 Olivier Awards.